A few months back, Alvi Loeb, a top researcher at Harvard University had revealed that interstellar asteroid Oumuamua could be actually an alien probe. 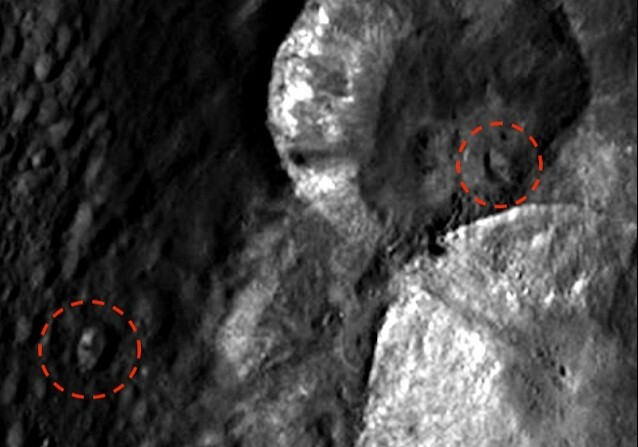 Now, on similar lines, Scott C Waring, a self-proclaimed extraterrestrial researcher has claimed to have found the evidence of alien technology on asteroid Vesta. 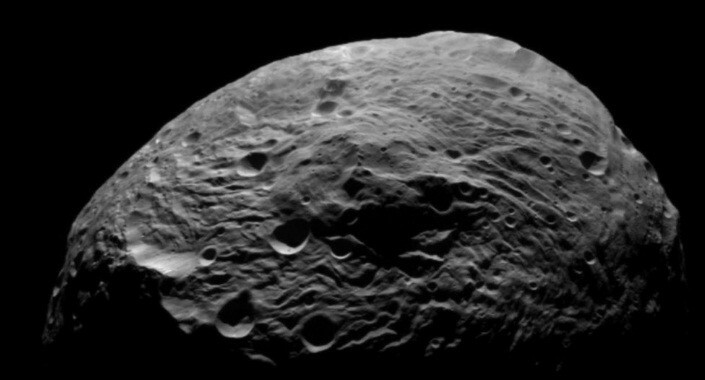 After analyzing the NASA images of asteroid Vesta, Scott C Waring has apparently spotted diamond-shaped objects on the surface of this space body. In a post written on his website 'UFO Sightings Daily', Waring wrote that these diamond-shaped objects could be actually alien ships resting on the asteroid's surface. "This is asteroid Vesta and on it I found two diamond-shaped ships resting on its surface. NASA also happens to think that this might not be an asteroid, but a small planet, the size of the state of Arizona," wrote Scott C Waring. After analyzing the image, Scott C Waring revealed that both the ships have similar size, but possess different designs. "The two ships I found are both similar in length and width, but slightly different in design. One is more shiny and metallic than the other, which makes me believe there is a thick layer of dust on one of the craft make for a dull appearance," added Waring. A few days ago, after spotting a seemingly fossilized structure on Mars, Scott C Waring had urged the United States president Donald Trump to appoint him as the chief of NASA. The conspiracy theorist also claimed that he will reveal all the secrets associated with alien life if he gets a chance to work with the United States space agency. Even though Waring continues to spot anomalies in NASA images, experts state that it is a particular capability of brain named pareidolia which is the cause of these visual hallucinations. Pareidolia is the capability of the human brain to form recognizable images from unknown patterns.